Pewter Hoofprinted Button is hand made (in the USA) with embossed horseshoe. It measures about 3/4" wide and is stamped on the back with the artist's mark. 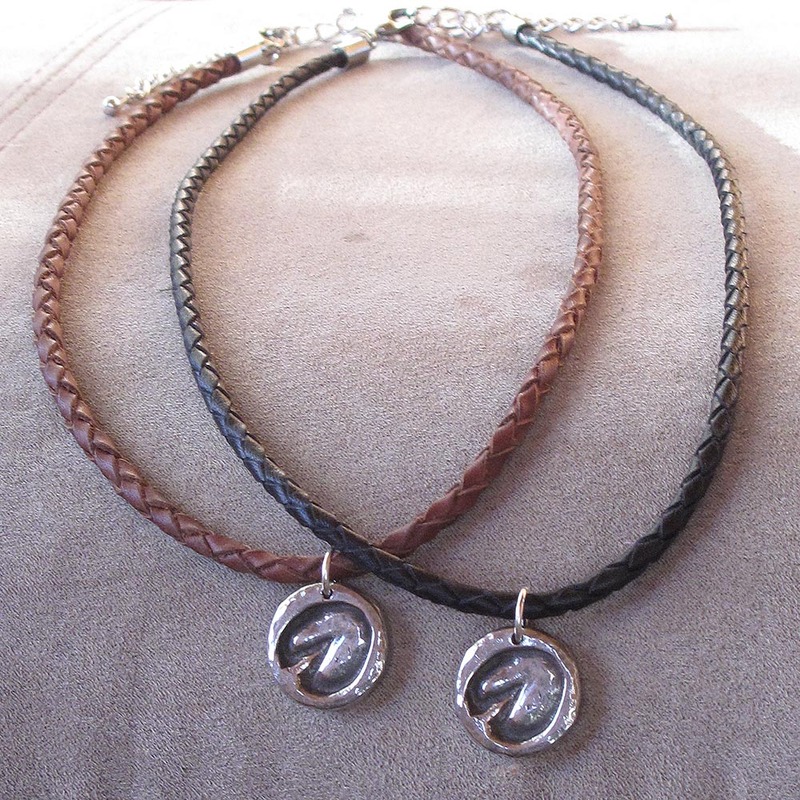 Braided leather cord adjusts from 18" - 21". Choose brown or black.